Department of Education | Ali Yavar Jung National Institute of Speech and Hearing Disabilities (Divyangjan), Mumbai. The Department of Education started its first Human Resource Development program i.e. the PGPD in 1984 to develop trained teachers who could address the educational needs of children with hearing impairment. The course got upgraded to a B. Ed. (Deaf) with affiliation to University of Mumbai. Since then the Department of Education has taken a lead for developing human resource development programs. Currently at HQs in Mumbai the Department of Education conducts long term training at Bachelors, Masters and Doctoral levels so also conducts an array of short term training programs for professionals and allied practioners in all parts of the country including reaching the unreached in rural and tribal areas. 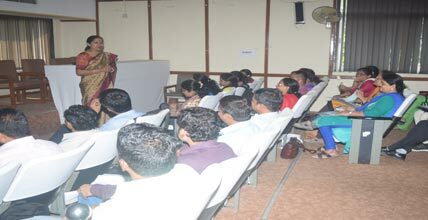 The Long term training program activities of the Department includes planning, organizing and evaluating of the B.Ed. Spl. Ed. (HI), M.Ed. Spl. Ed. 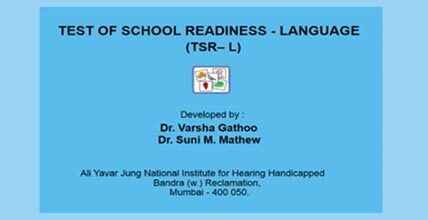 (HI), BEDSEHI, MEDSEHI and conducting the PhD in Special Education recognized by the Rehabilitation Council of India (RCI) and affiliated to the University of Mumbai and IGNOU. The details are as given below. The Department has a highly qualified Faculty possessing doctoral degrees and national and international credentials of repute to teach, mentor and guide the students and scholars of various programs. 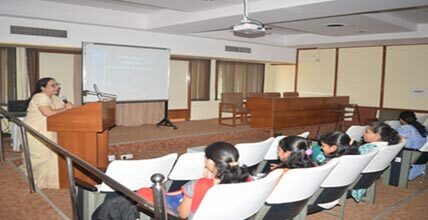 The alumni of the Department of Education at Mumbai are working in various capacities such as Directors, Asst. Directors, Principals, Course coordinators, Faculty, special and resource teachers in reputed Government institutions, Universities, Special schools in India and abroad. 100 1200 Special Educator’s, Mainstream teachers, SSA teacher, Anganwadi teachers, Primary Health Workers, PHC Doctors. The Department of Education follows a ‘Process centric structural approach’ for providing educational services. 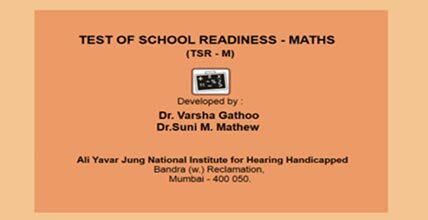 These include conducting educational assessment for children with hearing impairment, parent guidance, early intervention, referrals, schools placements, remedial teaching and educational support for inclusion for children attending mainstream schools. One of the primary needs for education is to know the current level of functioning of a child in terms of language and knowledge. This facilities developing an IEP or a remedial program. Towards this, the Department provides services of Educational assessment for Receptive and Expressive Language and literacy skills such as reading and writing. The test batteries includes combination of standardized tools as well as Teacher Made Tests. Some of these developed by the Department are CECS( Checklist for Early Communication Skills), CBCS ( Checklist of Basic Communication Skills), ERL ( Estimate of Receptive Language), EEL ( Estimate of Expressive Language, ELS ( Estimate of Literacy Skill) as well as OBT ( Open Book Test). Children registered at AYNISHD (D) can avail this facility of assessment. 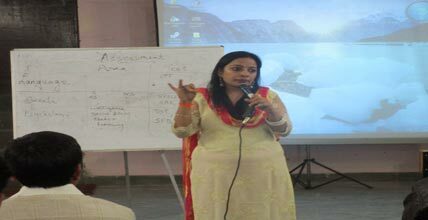 Trained teachers of the Department conducts these assessments. Preschools for children between 2.5 to 6 years forms a part of the early intervention program and is designed to make use of the critical period of language development of children with hearing loss. This program of the Department facilitates inclusion in mainstream schools as the children are school readied. The pre-school teachers of the Department develop individualised curricular program focussing on natural language development and emergent literacy skills. The activity based approach includes celebrating festivals, conducting directed activities such as craft and food actives and field trips. 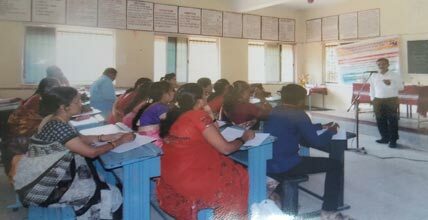 Children from mainstream schools both from Mumbai and outstation are also supported for remedial teaching Parent empowerment is achieved by encouraging parents to attend the intervention sessions along with the children and also by organising parent training programs. Trained teachers specialising in education of children with hearing impairment provide these interventional services. Conceptualized and initiated as SAIED center affiliated to the National Institute of Open Schooling (NIOS), the Department of Education provides educational opportunities to the school dropouts and neo- literates. 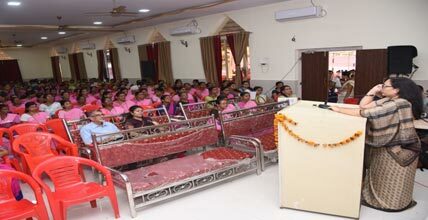 More than 100 students with hearing loss have completed secondary education successfully. 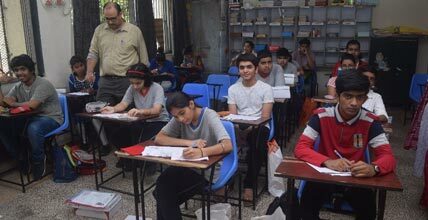 AYJNISHD acts also as a study center for NIOS, especially for the continuing education for children with special needs and acting as a center for examination for all disabilities. The secondary course provides free education except registration fees and examination fees to the students with disabilities and PCP contact programs. Evidence based practices are needed for progress and for undertaking educational practices for achieving sustainable developmental goals. 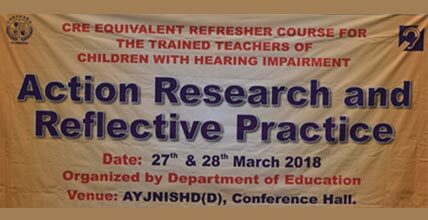 The change in the educational philosophy, practices and educating the heterogeneous groups of children with hearing impairment requires trying and testing newer practices and hence research and documentation forms an important activity of the Department of Education. The Department is actively involved in undertaking both long term and short term research projects and also in publishing the outcomes of these in the national and international indexed and peer reviewed journals. 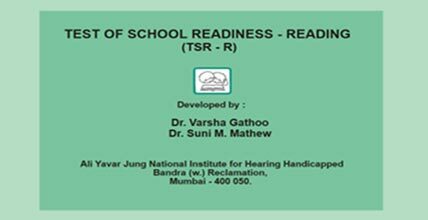 The Department of Education has undertaken six long term research projects out of which, the Test of School Readiness (TSR) is a latest test battery developed for assessing the readiness of children with hearing impairment for inclusive primary education. 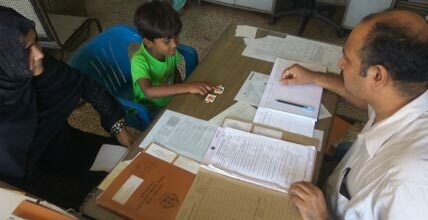 The current research of the Department is collaborated with NGO ‘Sol’s Arc’ Mumbai for developing an Assessment App for screening learning lags in mainstream school children. The project titled The Red flag is aimed at empowering the teachers to identify the lags and facilitate inclusion in their learning environments. The Department of Education has successfully guided more than 70 Master’s research works of MEd Special Education (HI) students on various themes like efficacy of early intervention, inclusive education, special education, mastery level learning , learning styles , relational trust of parents with schools, school bonding and so on. 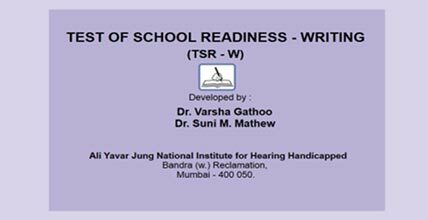 At present, the Department is guiding the following research works of students at Doctoral level for a PhD in Special Education under affiliation to University of Mumbai. Department of Education is the first one to start PGDPHI, B.Ed. (HI), M.Ed. (HI), SAIED of NIOS Forum for inclusive education in country. The faculty members of the Department are accorded with Best Teacher Award of the University of Mumbai, Best Paper Award of NCED-India and NCERT. For facilitating special and inclusive education, the Department of Education has strong association and networking with both Government and Non-Governmental organizations. 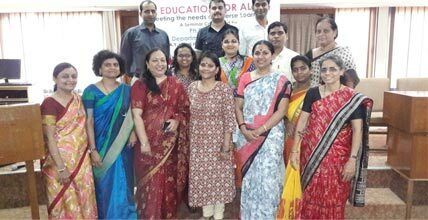 The faculty and staff of the Department collaborate with the Rehabilitation Council of India (RCI) and the various state universities for planning and implementation of course curriculum for Teacher Education Program at various levels. With open universities such as IGNOU, TNOU and YCMOU course material has been developed. 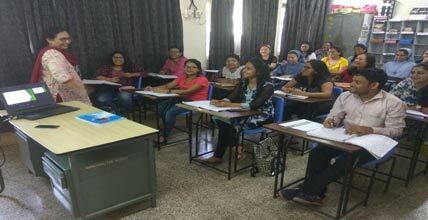 The Departments faculty has contributed as chief examiners, paper setters, experts and evaluators for All India exams at Diploma, Bachelors and Masters Levels, so also for evaluations for Masters and PhD work of university of Mumbai, SNDT and other State and Central Universities. The faculty of the Department has been contributing as BOS chairperson and members of University of Mumbai, SNDT, University of Pune and Mysore University. State collaboration has been with office of Commissioner of Disabilities for Maharashtra and other states to conduct CRE’s and formulating state policies for education of students with disabilities. Test tool TASC has been developed for grading special schools and inspection for licensing and extension of grant in aids been undertaken using the tool. The Department of Education networks with professional bodies such as NCED- India and houses its office, so also it supports conducting Annual National Conference and publication of Journals of NCED- India. International collaborations include adaptations and standardization of Assessment tools like GAEL-P with Central Institute for the Deaf (CID) of Washington University and writing course materials for Mauritius institute of Education (MIE). The Department of Education has also collaborated for developing UN- Short term project, “Cognitive testing of the formats of Washington groups for PwDs”, World Bank manuals for Master Trainers for Inclusive Education, and NCERT - UNICEF collaboration for adaptation of Inclusive Teacher Education Advocacy Guide. 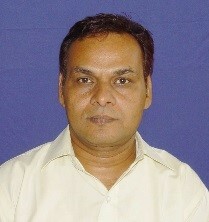 2 Dr. Raju Arakh Lecturer B. Com, M.A. (Economics), B.Ed. (HI), M.Ed. Spl. Ed. (HI), Ph.D. in Spl. Ed. Disability Management, ISL A Level, UGC - NET 21 Years Special education of children with Hearing Impairment, Legislations and policy framework for the disabled, research, curriculum, inclusive education. 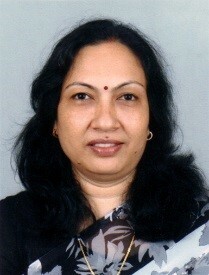 3 Dr. Gayatri Ahuja Lecturer M. Com (Management), M.A. (Linguistics), M.Ed (HI), Ph.D. (Special Education Rehabilitation), M.Sc. (Applied Psychology – pursuing) 15 years Disability related legislations, Academic achievement of CWHI / CWDB, linguistics in Deaf education. 5 Shri Sanjay Sawant L.D.C.